There are treasures to be found from the 2017 vintage in the Mosel, such as the Rieslings from Selbach-Oster. The 2017 growing season was difficult and unusual for German vintners. Frost in late April significantly cut down the yields, as I reported last year, while the heat and drought that followed accelerated the growing season, resulting in the earliest harvest on record. How the wines would pan out was hard to guess at the time. I recently spent two weeks in Germany visiting producers and attending trade tastings. I sampled mostly 2017 Rieslings, plus Silvaners and Spätburgunders (Pinot Noirs), from more than 30 wineries. Some of those I visited still haven't bottled all, or any, of their 2017 wines. Most of what I tasted were early releases and barrel samples, plus dessert wines at some estates. In most regions, growers reported a small quantity, but good quality. (Franken and smaller regions in eastern Germany were largely spared from frost and had normal to higher-than-average yields.) The silver lining of a small crop is that, usually, the vines are able to put more energy into the fewer clusters, resulting in grapes with higher levels of phenolic compounds, fuller flavor profiles and more complexity. Another factor that contributed to the grapes' concentration is botrytis, or "noble rot." It developed early in 2017, allowing some vintners to harvest grapes for their trockenbeerenauslesen before kabinette, which is a huge anomaly. From my tastings, I noticed that the vintage is not friendly and supple like 2016, but also not as robust and powerful as 2015, falling somewhere between the two. "2017s are understated and a bit shy, despite the fact that the analytical data was similar to 2016," said Johannes Hasselbach of Gunderloch in the Rheinhessen region. The Rieslings are flavorful, but not overpowering, still featuring good acidity for balance, with an added spicy mineral element. In Franken, 2017 Silvaners from Zehnthof Luckert and Schmitt's Kinder were the most impressive, showing great complexity and ageability. In the western part of the region, at the Rudolf Fürst estate, I tasted barrel samples of Spätburgunders that show great potential. The vintage delivers beauty across the spectrum of Germany's wine types, but there are disappointments. 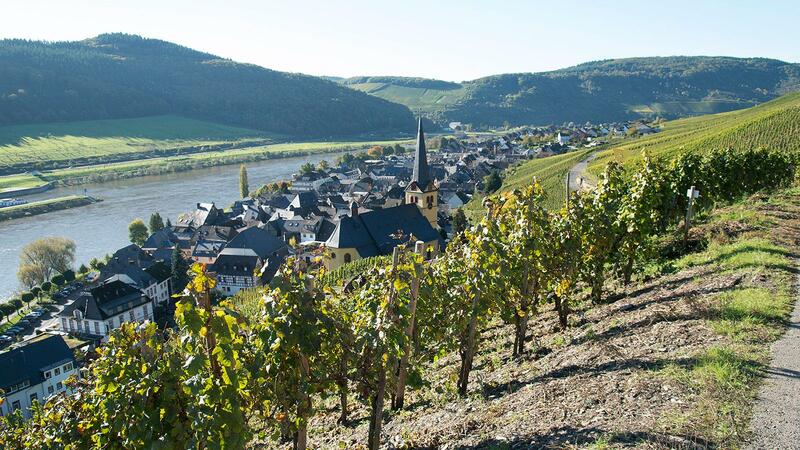 The biggest contrasts might be within the Mosel and Rheingau regions, where some Rieslings are absolute stunners, while others fail to impress. The best wines came from those who were willing to gamble on the September weather or managed the peculiar season well. But some vintners harvested too early, not allowing for the longer hang time that allows grapes to develop additional complexity. It will be interesting to see how the wines have developed with a bit more time in the bottle (or barrel) when I conduct my blind tastings next month in the Wine Spectator office. The early releases are starting to arrive in the United States now, with the top crus being released after Sept. 1. In addition to the already-mentioned wineries, I found great quality from several other producers—Brand, Selbach-Oster, Seehof, Dönnhoff, Wagner-Stempel, Spreitzer and Rainer Sauer—and I expect they’ll deliver when I taste for my formal reviews. If the 2016s were a charming song destined to be the hit of the decade, the 2017s seem a bit more closed right now, like a misunderstood composition that will come to life, years later, in its own time. It's up to you to decide what you enjoy.